Come enjoy a friendly game of poker and fellowship at Dudes' Night Out. The men will be meeting at Tim Hamlett's home. If you need Tim's address please contact the office at 972-539-2660 or office@creekwood.org. 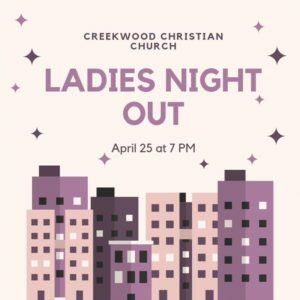 Childcare will be available at Creekwood from 6:30pm till 9:30pm.